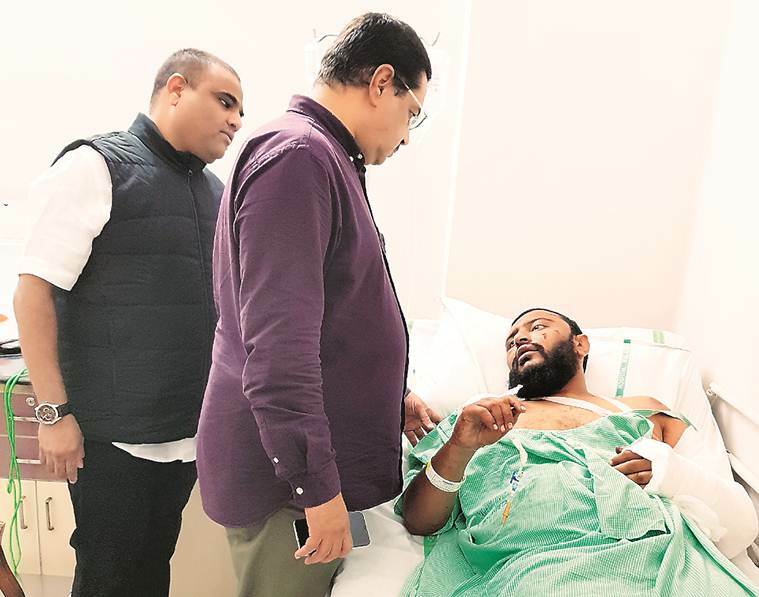 Kubaisi’s wife Zaibunnisa said that the four had set off from Hyderabad Friday morning to meet a relative at Bidar and attend a social function. “When they stopped for tea near a school at Murki village in Aurad taluka at about 4.30 pm, they saw school children heading home. Salham started handing out foreign chocolates, which he was carrying, to students. However, someone raised an alarm that strangers were luring kids with chocolates and people started gathering immediately,” Her wife said. Aurad Police Station, in whose area the lynching took place, said that three WhatsApp administrators who circulated the photos and messages that the four men were child kidnappers have been arrested. “We have also arrested 30 people who were part of the mob,’’ the official said.